It’s been years since Apple updated the iPhone SE lineup. However, the device has been part of the rumor mill for a long time and details have gradually piled up. Now, it seems that the iPhone SE 2 is possible given the amount of time we have spent on the device’s leaks and rumors. Previously, we were not even sure if the company was even working on it. From the latest leak, we can presume that the iPhone-maker is potentially working on the sequel to the device. As mentioned before, the new leak is a hands-on video of a device which more or less looks like an heir to the iPhone SE. There are several aspects of the leaked video that suggests that the device showcased is a second generation of the iPhone SE. The video was originated in China and was released publicly on the Chinese social networking site, Weibo. The video basically asks if the device is an iPhone SE 2. All the odds at one side, the form factor and design of the device pretty much resembles that of the iPhone SE. With a squarish design and chamfered edges on the boundaries, the purported device resembles the SE model of the iPhone which was launched a few years ago. if the video is any credible, there’s exciting news coming for all fans. As can be seen in the video shared, the device packs an edge to edge display panel as we have seen on the latest iPhone X. If you look closely, the alleged iPhone SE 2 also features a notch at the top which will house all the necessary sensors and the front-facing camera module. It’s unclear at this stage if the device will feature Face ID or not. However, given the fact that it does not have room for Touch ID at the front and Apple’s dislike for a rear fingerprint sensor, it can be presumed that the notch will indeed feature Face ID for authentication purposes. Nonetheless, details are scarce and no official word has been shared at this point. The lock icon on the lock screen does indeed suggest that Face ID is present on the alleged iPhone SE 2. However, take the news with a pinch of salt as many Chinese manufacturers have adopted the iPhone X’s notch and this could possibly be a clone with an iOS-themed Android launcher. More on the device will be shared in the near future as more details are leaked. 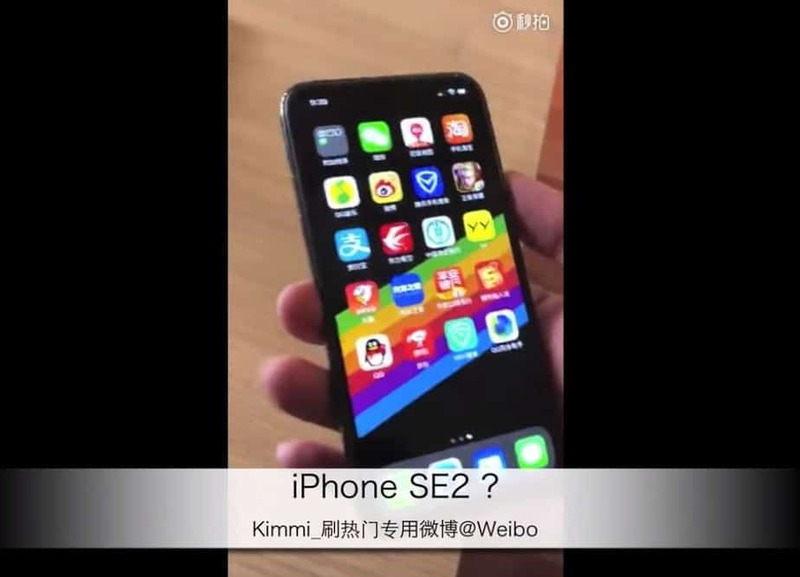 Do you think it is an iPhone SE 2?